The date was July 13, 1932. 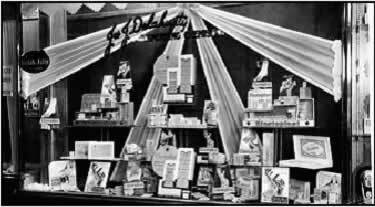 Jas J Delahunty Snr opened a pharmacy at the base of Empire House, on the corner of Queen and Wharf streets. Eighty years on, Jas J Delahunty’s Chemists is a Brisbane icon, and going stronger than ever. THE ORIGINAL PHARMACY on the corner of Queen and Wharf streets. WHEN Jas J Delahunty decided to get into pharmacy it was the Depression era when prescriptions were delivered on foot, and Jas J (as he was known to all) averaged 40-50 of those a day. THE premises on the corner of Wharf and Queen streets where the Aurora Multi- Residential tower now stands were shared originally with a barber shop and racquet stringer. 1936 at 144 Queen St. This shop moved to Brisbane Arcade where Jas added perfume to his repertoire. LOCATION has always been key to the Delahunty success. The latest venture is a pharmacy in QueensPlaza where traditional and contemporary services are available, including advice from a qualified naturopath. JAMES and fellow pharmacist Neil Baynes sold their insurance policies in 1977 to fund the world’s first photographic mini-lab. It proved a major advancement in terms of services a chemist shop had offered.